One of our customers decided to upgrade this double drive gate to metal frame and metal posts. He took the time to paint all the metal black before we installed the wood – looks GREAT- very classy look. 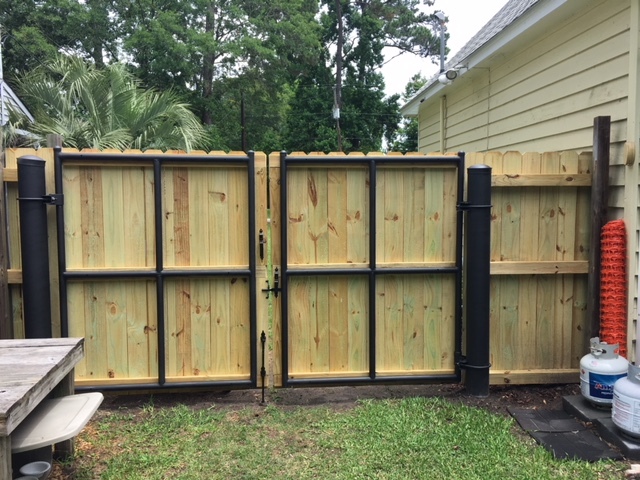 Call us – let us upgrade your fence project!